Melbourne based Australian Solomon Islander filmmaker Amie Batalibasi has embarked on a journey to tell a story that has so often been left out of mainstream Australian history dialogue. 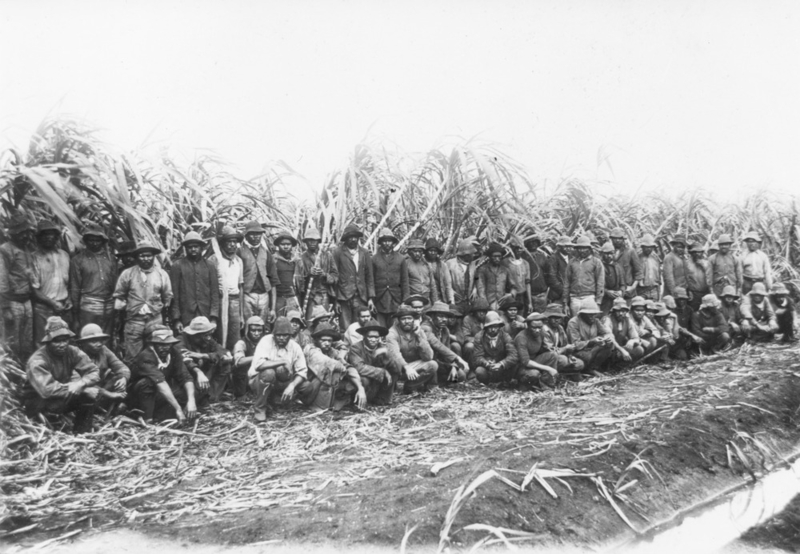 The Australian South Sea Islanders (ASSI) are the descendants of some estimated 55,000 to 62,500 Pacific Islanders who were brought to Australia between 1863 and 1904 to work on the sugar cane fields of Queensland and Northern NSW. People came from more than 80 Pacific Islands, including Vanuatu (then called the ‘New Hebrides’) and the Solomon Islands, and to a lesser extent, from New Caledonia, Papua New Guinea, Kiribati and Tuvalu, making this a regional story of great importance not only to Australia but also to the Pacific. The short period drama film BLACKBIRD sheds a light on some of the experiences faced by ASSI people during this time through the emotive and poignant story of Rosa and Kiko, two young Solomon Islanders who were taken from their Island home in the 1870s to work under slave-like conditions in Mackay’s Pioneer Valley. Blackbird is not just a film but also a collaborative project that works closely with the ASSI community of QLD in all areas of the development and delivery of this film. This methodology is in line with the director’s overall creative practice that centers around community, cultural diversity, social justice and human rights. It is intended that by exploring the story and experiences of one South Sea Islander woman and her brother, the audience can begin to understand the journey of these characters and the film can address this part of Australia’s history at large. The short film Blackbird is part of the filmmaker’s Masters of Film and TV at the Victorian College of the Arts and is being filmed over eight days in July in Mackay and will be utilising both professional and non-actors to tell this story. The premiere screening will be held at the Australian Centre of the Moving Image in Melbourne as part of the VCA graduate screenings in December 2015. A crowdfunding project to help fund the Blackbird Film Project has just been launched where supporters have the opportunity to be a part helping to get this film made and score some great rewards.